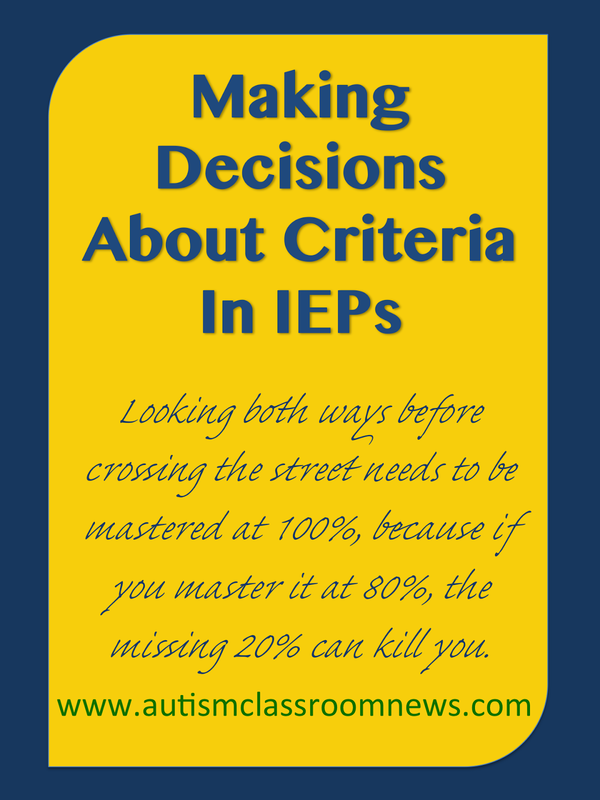 There are so many things to think about with IEPs, but one that we often don’t give much thought about is mastery criteria. We tend to slap on 80% of 4/5 on the end of the goal and don’t think much about it. However, as I’ve learned over the years, the mastery level can be one of the most complex elements of writing a goal or objective and can be one of the biggest area of disagreement when determination of mastery of the goals comes about because they are often written in a way that meant different things to different participants. So, I thought I would share a couple of things I’ve learned over the years that might help when determining mastery criteria. Here are 4 things to think about when you write that ending on the goal or objective. 1. What type of skill is it? The first consideration, of course, is the type of skill. Different skills lend themselves to different types of mastery. 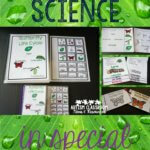 For instance, reading lends itself to accuracy of comprehension at different grade levels, fluency of words per minute, and accuracy of words read. Math lends itself to accuracy in most situations, although sometimes we think about fluency (e.g., problems per minute) with math facts. The example goals I wrote in the last post typically used accuracy as the criteria and most (but not all) could be mastered at 80% or 90% because they weren’t expected to be perfect in typical students their age. 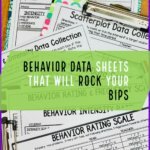 Challenging behavior is typically measured by frequency of behavior over time (e.g., no more than 1 instance of hitting adults per week). So, you have to think about how important the skill is. Is it a basic skill that is foundational to later skills? The example I used in the last post was sequencing the alphabet. That’s a skill that is so foundational that you really need to master it at a very high level. Is it a skill that involves safety or well-being? For instance, crossing the street–needs to be mastered at 100%, because the extra 20% can kill you. Similarly, think about whether your mastery criteria is meaningful for the age of the student. For instance, saying that a student will be on-task in a group situation 100% of the time is probably not realistic for most ages since all of us get distracted at times. 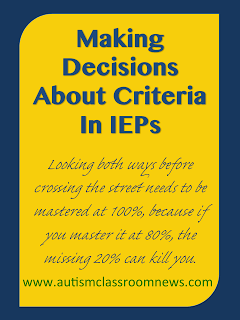 Similarly, if a typical peer makes responds to questions with correct answers 70% of the time, it is not meaningful for a child with an IEP to do it at 90%. Pay attention to how often behaviors occur in the typical students and use that as your guide. And, you need to make sure that the mastery means something. I strongly suggest that if you predict that a student will not be able to master a skill at 75 percent or higher (assuming that’s the reasonable amount a typical student would do it), then reduce the skill rather than the mastery. Mastering something at 50% is not really meaningful; it’s hit or miss. So instead, add prompts or have them master a subset of steps of the skill rather than lessening the level of mastery. Change the goal instead. How are you going to measure the skill? Think about this BEFORE you write the goal or you will regret it. The best example I’ve found over the years is this. 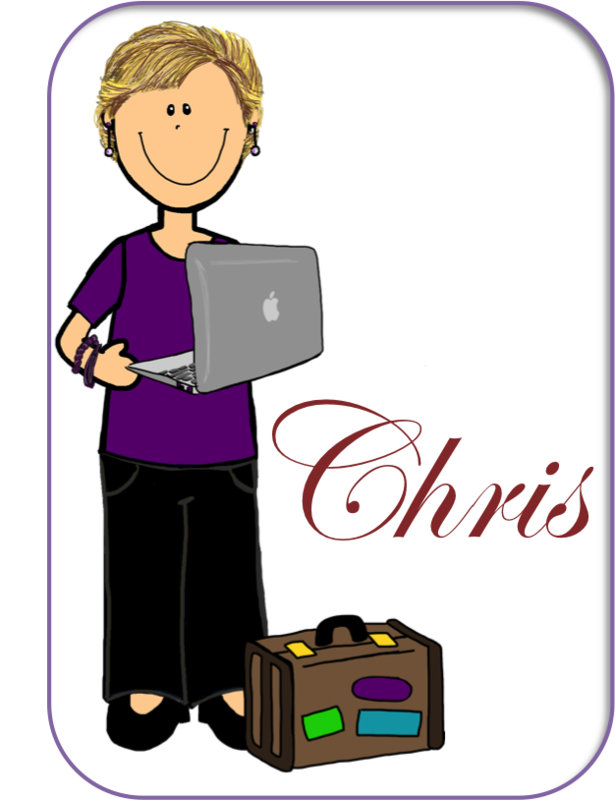 You have a student that you are working on initiating communication or social interaction. 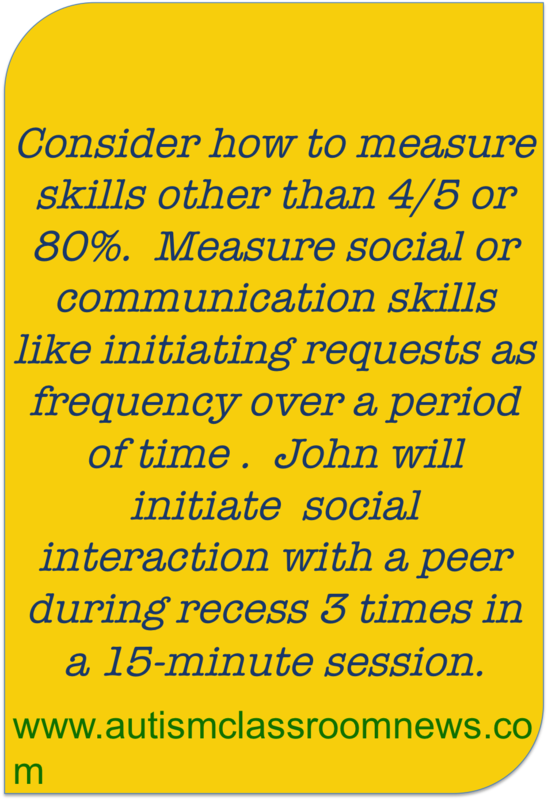 You write a goal that he will initiate a social interaction with a peer on 4/5 opportunities. When you go to collect data on this, you realize that you don’t know what an opportunity to initiate a social interaction that he didn’t take looks like. You might be better off writing it as he will initiate an interaction with a peer at recess 3 times during a 15-minute period. If his baseline currently is initiating interaction perhaps 1 time each day at recess, this would be significant improvement. Then you count the number of times he did it. Also think about what the criteria designates mastery will be and discuss with the team what it means. For instance, if you say 3/5 times with 80% accuracy….to me that means he will do it 60% of the time with 80% accuracy, meaning that it is 60% of 80%….that’s not 80%. I’m unclear of the purpose of this type of criteria because I don’t see that the times and the accuracy add to each other. However, others I’ve worked with have interpreted this differently, so talking about what the mastery criteria means as a team is important to make sure everyone is on the same page. And finally, on measurement, if you are planning to assess the skill by taking a weekly sample or probe data, indicate that in your level of mastery. For instance, if you write that he will do it 4/5 days, you are going to have to take data every day. So you might want to write it as he will demonstrate the skill on 4/5 opportunities on twice weekly samples collected over a period of 3 weeks. Then you take a sample twice a week and use that data. Finally, write your goals and objects so they are practical to measure. For instance, if you have a student working on walking independently, use the criteria as something like, “John will walk to the bathroom from his work station independently” rather than “John will ambulate for 25 feet independently.” Don’t make me pull out my measuring tape to figure out whether the skill was just demonstrated. Pick practical elements of the environment that you can use to measure and build them into the criteria. So, there are so many other things that you can discuss n this topic, but this is some of the highlights that I have seen trip teams up in writing goals and objectives for data collection. What are some of the issues that you see? Share your solutions and tips in the comments! I have a question about inclusion goals. Here’s an actual goal. With inclusion support, this student will use a variety of complete sentences to express correct responses in his reg Ed settings with 100% accuracy on 7 out of 10 attempts. Oh my word! Do we use all of his inclusion classes and try to come up with something or a diff inclusion class each six weeks or what? I’m so confused! I didn’t write this goal , it came up from Jr. High. Glenda, I would try to go back to some of hte original team and ask them their intention. However, I think that working on it in one setting, and then 2 and then 3 etc. would be good. Hope that helps. 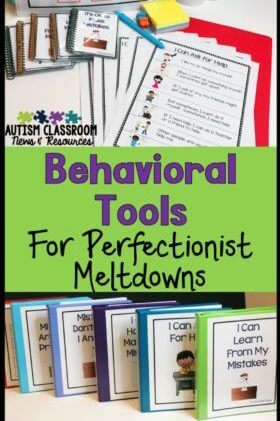 Do you have guidance on whether a child with Autism needs to master a goal both in his specialized classroom and at home in order to be truly mastered? The IEP does not indicate progress being measured in the home, however parents are insisting this be done. Child is making progress toward all IEP goals in class. Thank you. Typically I like to keep IEP goals to goals we can measure directly….rather than having to measure in a site out of your control. However, it’s important that parents receive training in how to teach and generalize the skill and there be good communication to help that occur. Parent training is a related service under IDEA. 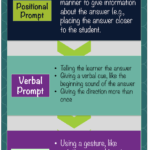 If you have to have a goal that is demonstrated mastery at school look for data collection tools that either involve self-monitoring by the student or can result in easy permanent product to use to monitor it. Hope that helps.